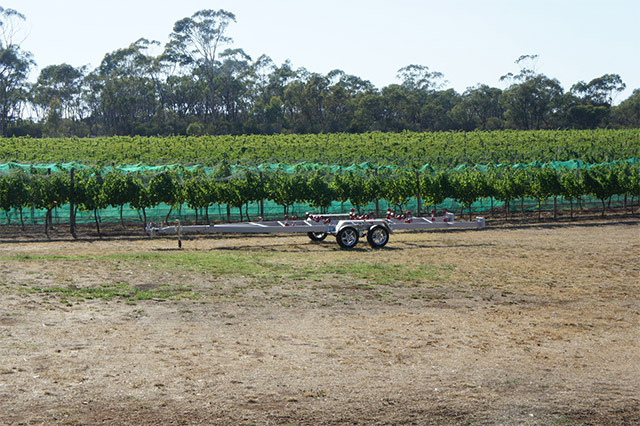 Earlier this year I went to Bendigo, Australia, to pay a visit to Paul Greblo who is building a Pantanal 25 in his vineyard. Paul is building the boat alone with occasional help and support of friends. When I was there the external fibreglass lamination was completed, the hull sanded and the primer and first coat of paint was applied but the hull was still upside down. 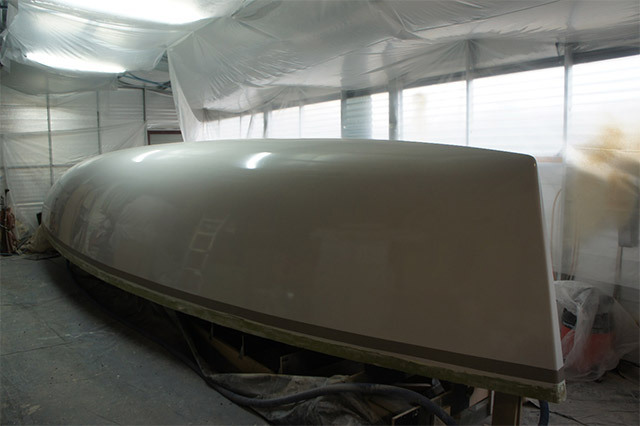 After the harvest season have finished the fabrication of the boat received a big push, the hull was turned over and the internal fibreglass lamination was completed. The internal bulkheads were positioned and fixed in the correct places and now Paul is working on the installation of the keel case and the fabrication of the internal structure. Paul also fabricated the road trailer to transport the boat. 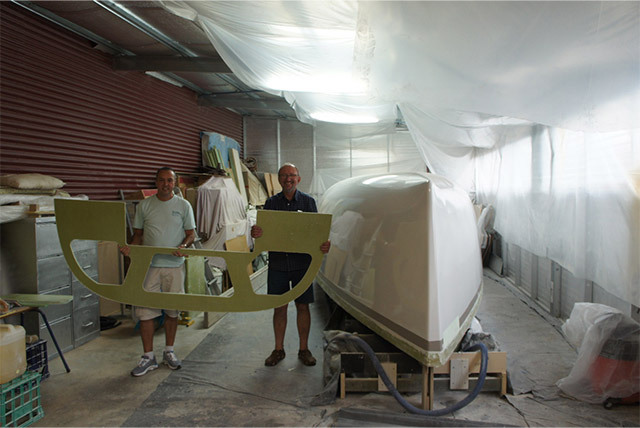 Paul Greblo and Luis Gouveia with a pre-cut bulkhead of the Pantanal 25. Turning the hull. With a good planning and preparation only two people can perform the turn over. 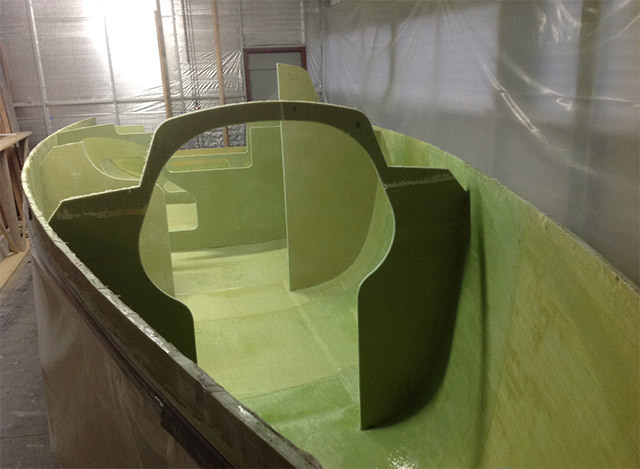 The bulkheads were pre laminated and cut with CNCl. 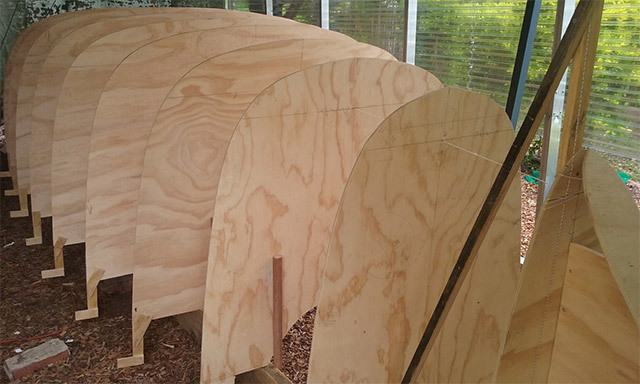 All the transverse bulkheads attached to the Hull but stil needing the structural lamination along the perimeter to integrate with the Hull. The construction of a second Pantanal 25 in Australia has started in the state of Queensland. 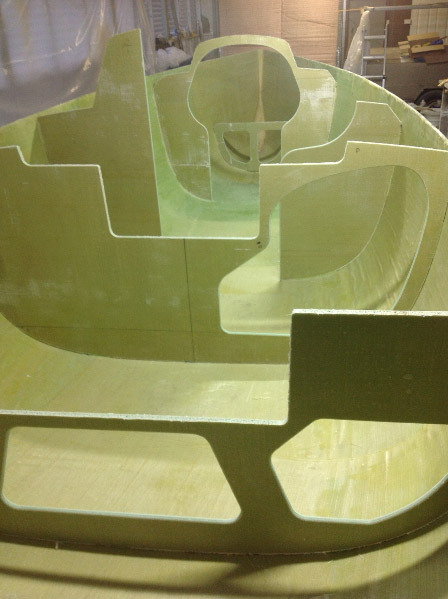 The transverse moulds of the hull are connected to the building grid and the owner is waiting to receive the material for the strip planking to start the fabrication. 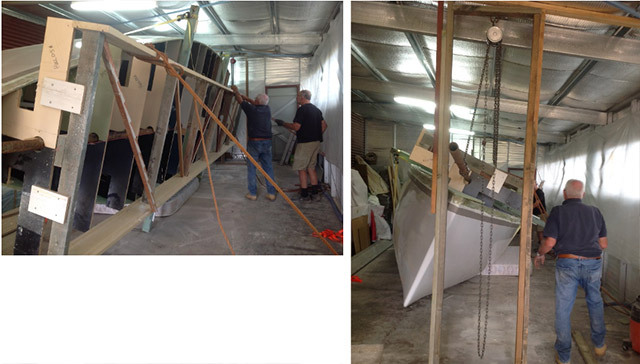 The beginning of the construction of a new Pantanal 25, this one in Queensland. 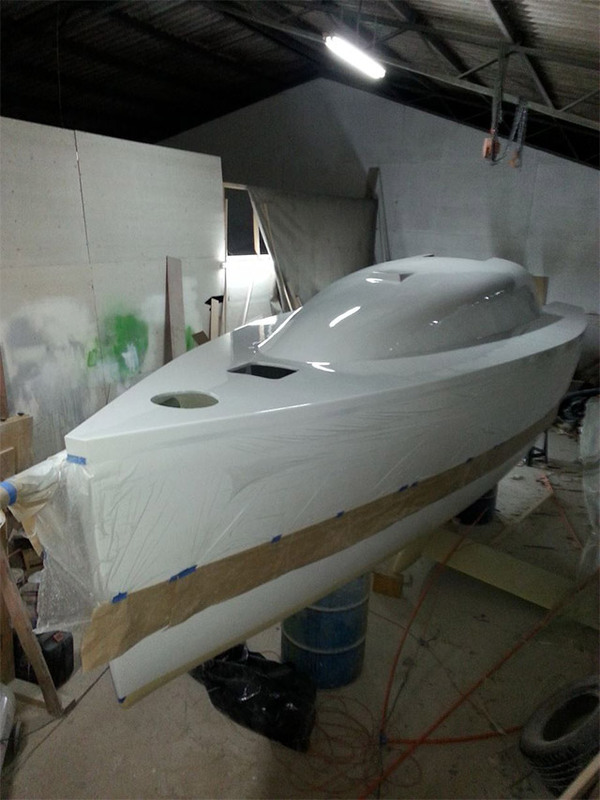 In Santiago, Chile, another Pantanal 25 have the final painting applied and now is been fitted out and prepared for the launching. Pantanal 25 in Santiago, Chile. Painted and ready for the fitting out. Click here to know more about the Pantanal 25.